Photo by Alessandro Vecchi via Wikipedia. CC BY-SA 3.0. Named one of the 100 most beautiful towns in Italy, this picturesque little town is very close by. 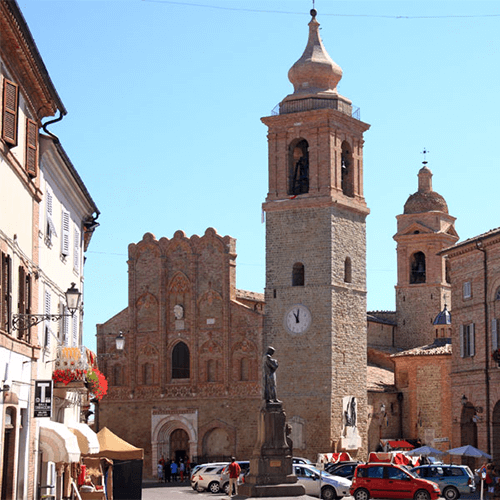 It has a pretty medieval piazza, several lovely churches, including the Collegiata, a Romanesque construction with a late Gothic facade. Inside are several notable works of art, including a painting by Simone De Magistris. Incredible panoramic views spread out below this village, along with quaint narrow streets which seem as though from a movie set.